I've specialized as an Auto Detailer & Mechanic at a local BMW shop here in CT for many years and have decided to bring my Auto Detailing Expertise to you. Making cars shine inside & out has always been a passion of mine and I always take my time to make sure your vehicles will look amazing. My goal is to provide you with showroom quality shine and to have you say "My car has never looked this amazing! " 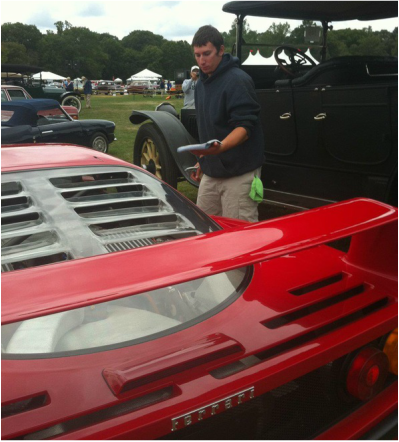 I use Professional quality products & techniques acquired over the years while working in partnership with Concours, Neo Autos, & Munich Motorsports. My attention to detail goes above and beyond the rest to give your vehicles the utmost care and attention they deserve, regardless of value or condition. I personally detail exotic & luxury cars including: Ferrari, Bentley, Maserati, BMW, Porsche, Land Rover, Audi, Lexus, Cadillac, Corvette; most other Cars, Trucks, Vans, SUVs, Boats, and Trailers. In addition to my personal clients, I also annually Detail Classics & Vintage for ­ Bonham's Auctions in Greenwich. Every Vehicle I detail always receives the best "Attention to Detail" I can offer and I do not rush! (3-6 hrs per Full Detail, in most cases longer if it's been a while since your last detail) Addressing your specific requests & concerns is my priority and guarantee you will be satisfied with me and my services. I look forward to being your personal Mobile Auto Detailer for all of your future detailing needs! Owner & Master Detailer @ Connecticut Mobile Detail LLC Thank You, Tony B.